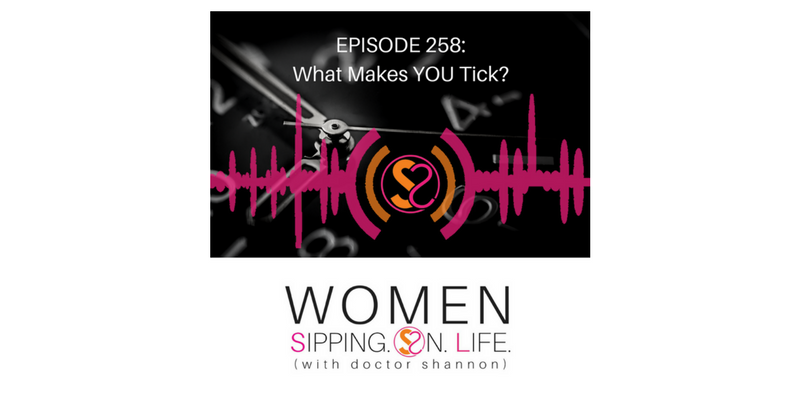 EPISODE 258: What Makes YOU Tick? I believe the meaning of life is a meaningless life. Yes, life is meaningless, but is it? As a clock ticks, and time goes by, so does you and your life. However, do you know the meaning of your life? In today’s episode, I lead you on a path of discovery…and show you 3 ways to get your life ticking. Time passes very quickly…but YOU can do something with it. The most meaningful is discovering the meaning of it. It’s how we find meaning, and what we give “meaning” to in our days —as well as how we see ourselves fulfilling our purpose here on planet earth. It’s vital that we tap into what’s meaningful to us on a daily basis. Don’t wait for tomorrow. Time passes so quickly, as you know. Do you know what makes YOU tick? Not unlike a clock, it makes a sound AND it has a function…a purpose. YOU DO AS WELL. SO DOES YOUR LIFE. 1. Discover what you love. Pay attention to what inspires you. Take whatever time is necessary to consciously acknowledge and celebrate this for yourself. Your attention is your time…is your life. Pay it to what pays you back. Where there’s tick, there’s talk. When you tap into your inspiration, you’ll find yourself naturally expressing it. It will inspire others to discover what makes their heart tick too. Inspiration in action versus the action of distraction. Live your love…life and make love with your life. It will love you back. Focus on what gives your life meaning, and what meaning you give your life. What gives your life meaning? What meaning do you give (and discover) in your day? Take some time today to begin to journal about what inspires you. What it is that you love? What you desire to experience in your day to day life? What inspiration are you bringing to your day?